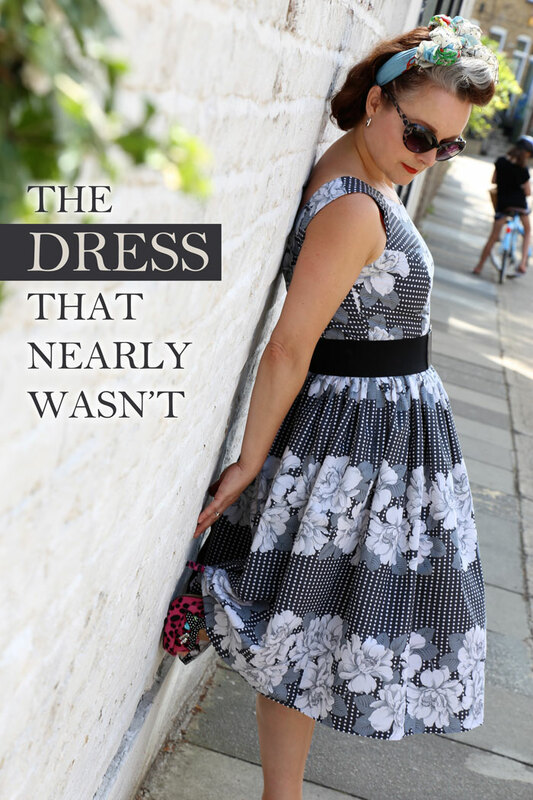 The dress that nearly wasn’t | ooobop! Gorgeous! Poly or not, it’s very stylish. soo cute and love the pics…. you two are a perfect creative pair. Pretty dress and it fit you perfectly! Yes, synthetic or not the print is beautiful and I agree with Jane that the colour really suits you! I love this – I must make another full-skirted Elisalex one of these days. 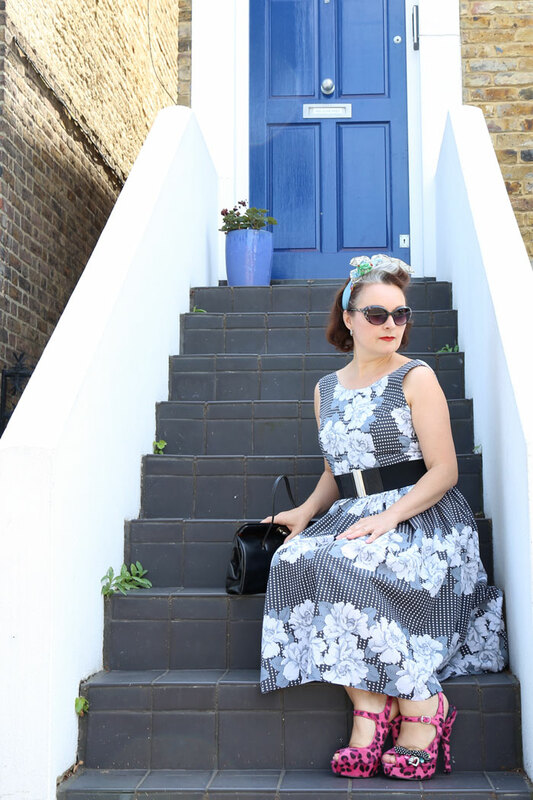 Jane – go and buy this pattern immediately! Actually I love the fabric… and those shoes! Lovely! You always take the best photos! And, that dress! The fit! Marvelous! I’m glad you made the effort to get it just so. It looks perfect! Oh my…we can forgive it pretty much anything for being so darned gorgeous. And the fit is astonishing. Its fibres may be suspect but that is one gorgeous dress! And oh my, those heels! Thank you TBS. The heels, oh yes. Always a really unsensible shoe going on! It’s beautiful! And sets off those killer shoes perfectly! I’m also terrified of plastic fabrics but in the right style they can work. This fabric is stunning and I love how you have run it down the bodice. Perfection!!! Thank you, lovely. Don’t think it would withstand Brizzie temps but it will do for our luke warm summers! The effort in getting the bodice to fit was so worth it as you nailed it! It is a wonderful dress. Thank you Claire. It’s great knowing I’ve got a go-to! Took me long enough to get round to it! Wow, that is amazing. Yes, an FBA – once you conquer the fear, it makes the world of difference. Though, I agree, it’s always a mental drag to make yourself do one. Just gorgeous! You and Mr Ooobop are so clever and creative. The photos really show us how beautiful this dress is and how amazing you look in it. I too would have been weary of polyester simply because of wear I live but I would been so tempted because of the fabric print. I just love it. Thank you Marj. I’m so glad Mr O decided to take an interest in photography. It certainly comes in handy! It is gorgey, like your gorgeous self! 🙂 I do smile at your pics – a very famous 60’s photographer was quoted as saying, “It’s not necessary to *** the models but it does help.” And it does! My favourite photos of me ever were taken by a photographer I was ***ing! heehee! Love the dress and the fabric! Living in the Philippines, I hate wearing polyester and never buy it if I can help it. However silk is impossible to find here and even pure cotton can sometimes be a challenge. After following the Susan Khalje couture sewing class on Craftsy and learning about the benefits of underlining even in a hot climate ( garments wrinkle less, less perspiration marks) I now underline nearly all my dresses with a lightweight cotton. As i never wear stockings here, I don’t need to line or underline in a slippery fabric to avoid them sticking. So use whatever thin cotton I can find in a matching color. It recently occurred to me that I cold do the same with polyester fabrics if and when i could not resist the color or print! At least I wouldn’t have “plastic” sticking to my skin! Beautiful dress and what an amazing fit! I always want to get things done quickly, but this shows it’s worth slowing down! But once you’ve slowed down to get it right… you can speed up again. Bargain! I really must do the fit properly thing! Your fit is fantastic. Like you I have been exhibiting avoidance behaviour and not doing a proper fit and not doing a toile, well not properly. We are still in winter here in NZ so I have time to get sorted before our hot weather kicks in. Thanks for a lovely inspiring blog ! Love your new dress. Especially the vertical roses on the bodice. Perfection and don’t get me started on your shoes!!!! Thank you Gail. I always wonder about going cross-grain. But in this instance, the cross grain is on the skirt so it only adds to the volume! Ooh my! This is a complete success! the alterations and tweaking you have made are sheer perfection, this definitely needs to be made again! And, I ‘m madly in love with the fabric, the florals are in exactly the right spot and the striped effect on the skirt is very flattering. Of course I’m not wearing or feeling it, but I don’t think polyesters are as evil as people think. Synthetic doesn’t always equal bad. Thank you Sassy T. And thanks for your FB link too. I ‘liked’ it… very much! Just gorgeous! I love it, and the shoes are divine! I had a little chuckle at “a sticky 26 degrees”. I would love it if that’s how hot our summers got! We get into the mid 30s with very high humidity and it’s awful! So lovely, and I love the shoes with it. I know what you mean about man-made fibres, it can be a bit hit and miss as to how they feel when you wear them. But who cares when they look this good! It looks lovely, poly or not! I plan on making the same adjustments for my next Elisalex, will go down a couple of sizes and then will do an FBA. Gorgeous dress! I love your fabric placement, and the photos are beautiful. Thanks for the fitting tips – I usually do the simple approach of using the bust size, increasing the waist.. then getting annoyed about looseness in the upper chest area :(. The smaller size with more adjustments approach looks to work brilliantly, I’m going to try this too! Thank you so much Gabrielle. It was a bit of a Eureka moment, I can tell you! I agree. Who cares what the fabric is when it looks that good? And fantastically well-fitted, too. I’d pass on the shoes for myself but they do look like the sort of thing I might have once wished I could wear. Like Busy Lizzie, I smiled a little at 26 being hot. But, you know, it’s relative. I think anything less than 15 is too cold to venture outdoors!! Thank you Felicity. We are so deprived of heat so we are making the most of this hottest July on record for 10 years! I have to say I have been in heat heaven but I wouldn’t trust this dress in a hotter climate! Even your toiles are gorgeous! You have totally nailed the fit on this. I love the fabric too, it really suits you. And as for the shoes, fantastic! Very elegant – a fantastic wearable toile. Pingback: ooobop! 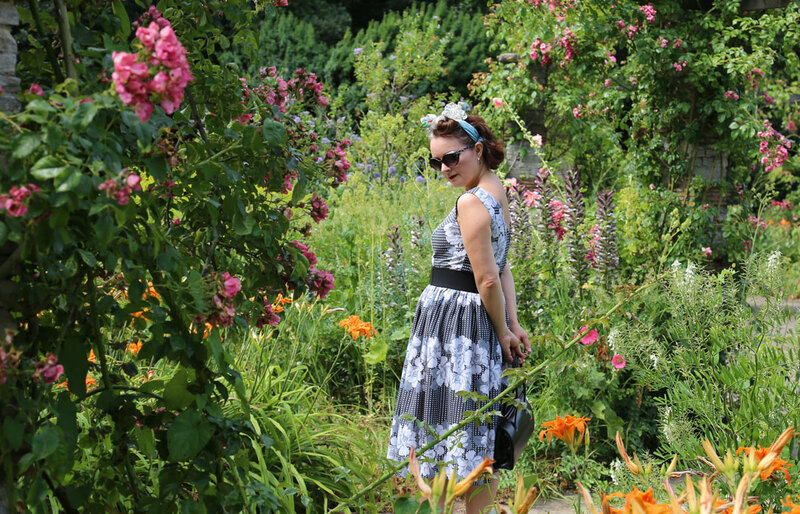 review: Burda Style August 2013 | ooobop! Hmmm did my post succeed? Another stunner! And your photos are so inspiring as usual. Top marks in my book! I laughed so hard about your fire test! What?! A fire test! Never thought of that. But your dress turned out lovely and the fit is perfect! And lovely pictures! Oooh, this is gorgeous! If it’s comfortable then wear the life out of it, poly or not, it’s so pretty! So lovely! Great print and it looks fantastic on you!